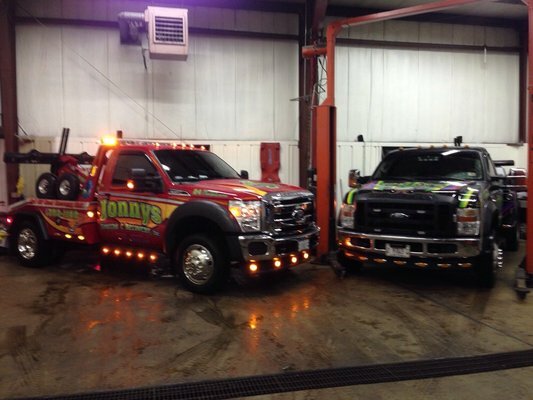 About Jonny's Towing & Recovery Inc.
We know having vehicle problems is stressful and that when you’re calling us you need a company that realizes you’re being kept away from family, work or other important matters and want to get back to your schedule quickly. We have a fleet of late model, well maintained tow trucks ready and waiting for your phone call at several locations across the Western Suburbs of Chicago. 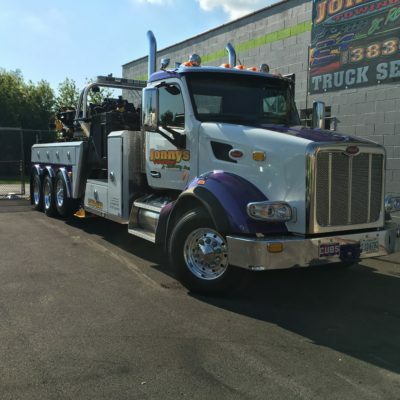 Our goal is to alleviate the stress associated with your circumstances by responding to you as quickly as possible and having the best trucks, latest equipment and experienced, capable, tow truck drivers sent to your aid. We’re led by a local, second generation, owner/operator who has built a company with top tier proficiency, tons of experience and a customer first attitude. From the owner to the drivers, to the front desk, we all understand that it’s our privilege to help you in your time of need. We know you can hire any number of towing companies throughout the Chicagoland area, so we promise to go the extra mile, with able and courteous service at affordable prices in order to earn and keep your business and referrals. If you’re in need of assistance call us today at 630-383-1150. We look forward to serving you.